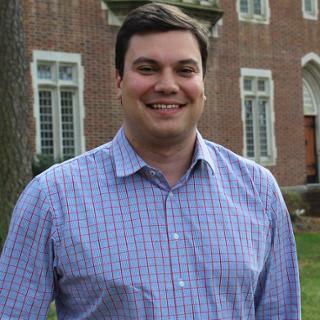 Laura Wyrick’s, '13, class schedule is a mix of statistics, economics and art history surveys. 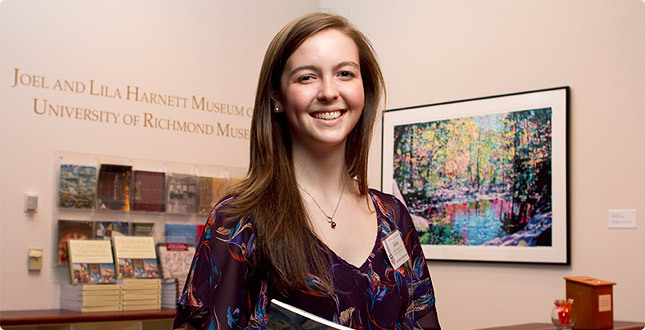 On weekends, she works at the front desk of the University of Richmond’s art museum. She’s busy, but she wouldn’t have it any other way. What Wyrick didn’t expect was that she would be partially supporting herself. Her family’s financial situation changed during the recession that overlapped with her senior year in high school. She had never considered not going to college, so after weighing her options, she decided to move forward in pursuit of her education at Richmond. For Wyrick, that decision meant taking on some personal responsibility for the costs of her education. Her family worked with Richmond’s financial aid office to come up with a package that worked for their situation. She didn’t qualify for Federal Work-Study, so Wyrick found her on-campus job as a museum attendant through the University Work Program. The job has turned out to be more than just a paycheck — it’s a training ground for a career in the business side of the art world. In addition to her work experience, Wyrick is preparing with a major in business administration from the nation’s No. 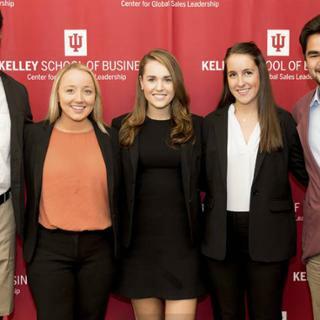 12 undergraduate business program. To round out her liberal arts experience, Wyrick has a minor in art history, may add a minor in French, and plans to study abroad at Rouen Business School in France.